Dheeran is our optometrist here at Spectacle Warehouse. He qualified at Aston University, UK in 2004. He has always been interested in sight and vision and started his first job as an assistant at the age of 15 at Dollond & Aitchison in the UK. Since then he has worked for many independent practices and also was director of Little Collins Street Specsavers. 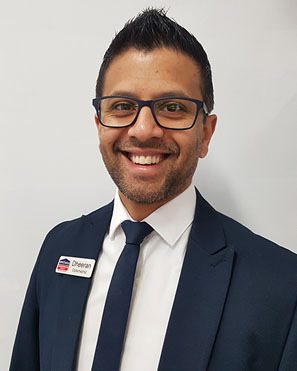 He is now the optometrist director at Spectacle Warehouse Australia in Frankston. He works closely with the eye specialists at Southern Eye Centre and Heatherhill Road. His daily kick comes from helping patients to see and manage eye conditions such as dry eyes. Apart from work he loves being a dad and spending time with his wife, two daughters and a son.​ He loves being outdoors and playing in the park with his kids and watching movies. His all time favourite is ‘Back to the future’. Nico is an optical assistant at Spectacle Warehouse. She is new to the optical industry and is enjoying learning about a new field. She really enjoys facilitating the customer experience, from frame styling to building a strong rapport with all of our fantastic customers. She is always building knowledge on how we can help educate the community on eye health and care. She is currently studying psychology at the University of Melbourne and is interested in cognition and music therapy. In her spare time, she loves playing music, eating amazing food and spending time with family. Tegan is an optical assistant at Spectacle Warehouse. 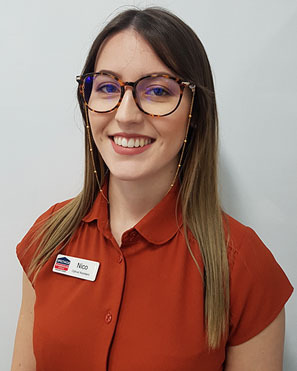 She has over 4 years experience in the optical field and enjoys assisting all our customers with frame styling, optical dispensing and adjustments. 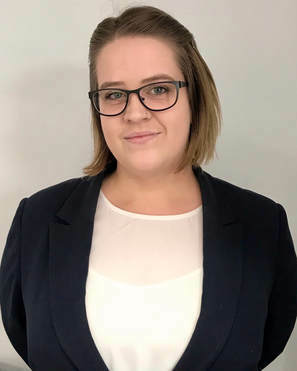 Tegan understands that every set of eyes are different and always ensures that each and every customer gets the very best service and product. She enjoys the creative side of life, from travelling to painting and drawing and to special effects make-up. When she’s not planning a new adventure, she spends her spare time crafting and creating and is always ready for a creative challenge. Taryn is an optical assistant at Spectacle Warehouse. She prides herself on her customer service skills and is always happy to help. She is a very family orientated person, so when she isn’t learning everything she can about optics, she is spending time with her husband and son.